Sean’s Run for ARROAutism began in 2007 as an out and back course beginning and ending at Historic Oaks Park, with both 5K and 10K events and proceeds benefiting Autism Research and Resources of Oregon. From its inception in 2007 until 2013, the event was run under the name Sean’s Run from Autism. The new name, Sean’s Run for ARROAutism, was established and introduced in 2013. In 2014 the rebranded Sean’s Run for ARROAutism will occur in a new location, on a new date, with a goal of reaching 2000 participants. 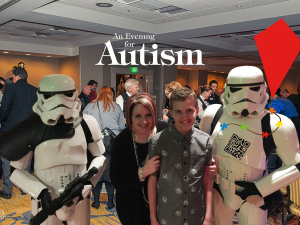 A successful event will raise enough to cover the costs for one year of ARROAutism’s flagship project, the ARROAutism Family Holiday Assistance Project, helping Autism Families in Washington, Multnomah and Clackamas Counties, Oregon.